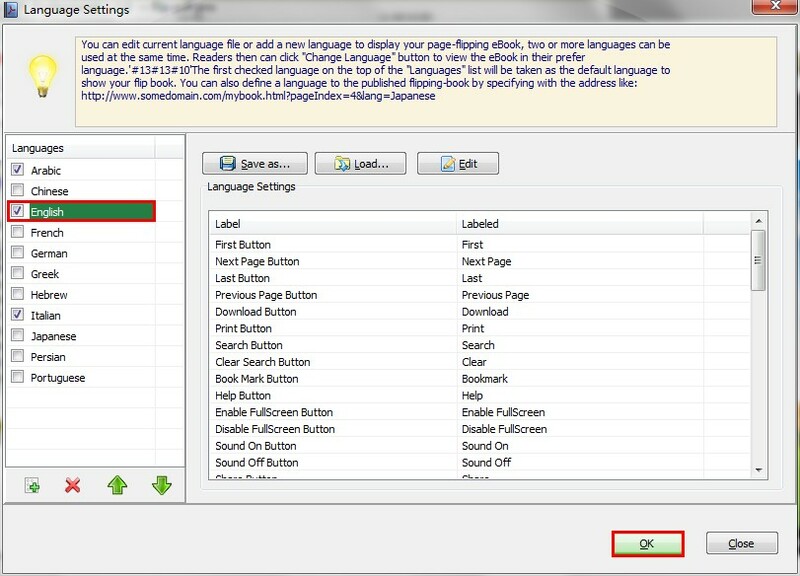 Use Self Publishing Software to select language for flipbook. Can I set language of flipbook for different speakers mot just English? Of course, you can use the language settings feature of flipbook to re-setting language. Step4: Click “OK” button to save language settings, and refresh your flipbook, you will find the language has been changed.